A document from the Liber Aereus Epternacensis includes a mention of Tiliburgis. On 21May, the priest Vigilius writes a document in Tiliburgis, in which the nobleman Aengilbertus donates a farm to the Bishop of Utrecht, Wilibrord. Tiliburgis is most likely a name for a collection of settlements. Duke Hendrik I of Brabant grants patronage rights to the church of West Tilburg at the abbey of Tongerlo. The church had Saint Dionysius, the first bishop of Paris, as its patron. It's unknown when Tilburg's first church was built, but it was erected at the location of the current Heike Church. Duchess Johanna van Brabant is in need of money. Knight Paulus van Haestrecht, high sheriff of 's-Hertogenbosch, is willing to lend the Duchess a sum of money. Johanna van Brabant gives him the villages of Tilburg, Drunen and Goirle as collateral for the loan. Hereby Paulus van Haestrecht becomes lord of Tilburg. Philip the Good of Burgundy and the Duke of Brabant grants Paulus van Haestrecht the authority to annually appoint seven aldermen to oversee the administration of justice in his villages of Tilburg and Goirle. From now on justice will be meted out according to the code of justice of 's-Hertogenbosch. 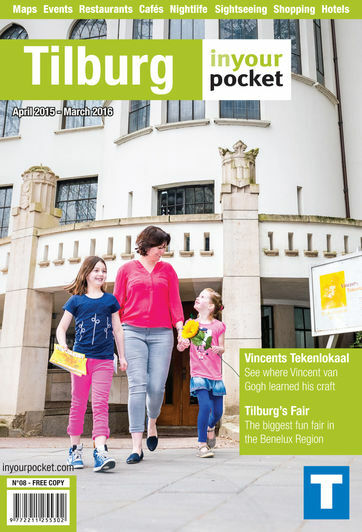 At this time Tilburg consists of the villages of Goirke, Heike, Heuvel, Hasselt and Heikant. Many sheep are kept on the vast heaths surrounding these villages. The large quantities of wool generated through this are ideal for the emerging of Tilburg's textile industry. Many people in Tilburg find work as sheep shearers, spinners or weavers. As time passes Tilburg grows to become the Netherlands' largest centre for textiles. The first written mention of the Tilburg Fair, which is held in August, is made in a custody account. In 1575, King Philip II grants Tilburg permission to hold three annual fairs. The Fun Fair of Tilburg, which has been held each last week of July since 1939, has now grown into an event which draws over one million visitors. The painter Gerard van Spaendonck is born. This son of a future mayor of Tilburg receives his training as a painter in Antwerp from Guillaume-Jacques Herreyns. In 1769 he leaves for Paris where he makes a name for himself as a painter of flowers. Claude-Henri Watelet vouches for him and he is appointed as a miniature painter at the court of Louis XVI. In 1808 Napoleon grants him the title of Count. When he dies in 1822, he is buried at the Parisian cemetery Père Lachaise. King Louis Napoleon visits Tilburg during a tour of the Netherlands. By royal decree the king grants Tilburg the rights of a city on 18 April 1809. An earlier census showed that Tilburg had 9465 inhabitants. On 27 October Petrus Donders is born in Tilburg. Peerke, as he is called by locals, graduates from seminary and leaves for Suriname in 1842. Initially he works as a chaplain in Paramaribo. In 1855 he becomes the priest in a leprosy colony on the Coppename river. Peerke dies in 1887 and is later buried in the Cathedral in Paramaribo. After his death, several miraculous healings are attributed to him and the house where he was born becomes a place of pilgrimage. In 1982 he was beatified in Rome and since 2009 he has his own museum: Peerke Donders Paviljoen, Museum voor naastenliefde. Pieter van Dooren uses Tilburg's first steam engine, built in Vervier, in the wool mill which he opened in 1825. Protests erupt among local textile workers, who fear that the machine will make them obsolete and Pieter van Doren's windows are smashed. In 1975 his wool mill is demolished after heated debates in the Tilburg city council. On 7 October King William II is crowned. This member of the royal family enjoyed his stay in Tilburg commenting "Here I can breathe freely." In 1847 he commissioned a palace to be built here, which was to serve as a country residence. It was in this beloved city that King Willem II passed away on 17 March 1849 after a brief illness. The Roman Catholic Trade Academy is founded. The school opens with 28 economics students. From 1963, several departments are added to the academy, among others the faculties of Law, Theology and Literature. In 1986, the name of the academy is changed to the Catholic University of Brabant, but since 2002 its official name is Tilburg University. On 8 July 1944, Coba Pulskens, who had already provided a hiding place for Jews, is requested to arrange a place to stay for five allied pilots. While three of the pilots are already ensconced in a house on Diepenstraat, the car containing the two remaining pilots is stopped by German soldiers. During the interrogation, the Germans find out the hiding place of the other pilots. During the subsequent house raid, the three pilots, of Canadian, British and Australian nationality, are killed. Coba is arrested and dies in February 1945 in the Ravensbrück concentration camp. De Pont, centre for modern art is opened in a former wool mill, which was remodelled by the architects Bethem and Crouwel. The museum for national and international visual art was named after lawyer and businessman Mr J.H. de Pont (1915 - 1987), whose will stipulates the creation of a foundation 'for the stimulation of contemporary art'.